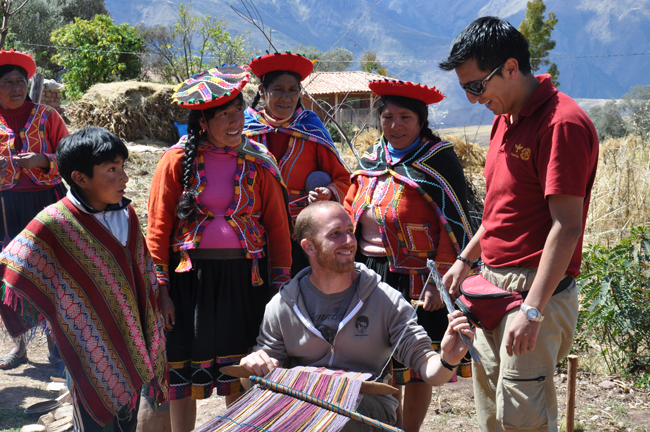 On Condor Travel’s Llama Trek Trail, guests visit indigenous weaving community. Condor Travel’s 1-day llama trekking excursion is ideal for agents booking large groups. It takes guests through The Sacred Valley of the Incas in Peru to meet with local artisans and witness ancient ruins. The Llama Trek Trail begins with a 2-hour drive through the Cusco countryside, as guests head to Patacancha, a traditional Quechua community in Cusco known for its weavers and textile making. In the village, guests meet with their llamas and llama drivers before embarking on a 90-minute walking trek to Huilloc, another indigenous weaving community. Here, guests learn about the village’s traditional way of life through their guides. The journey continues through Pumamarca, a small Incan archaeological site, to the town of Ollantaytambo (Ollanta). Groups rest here for a brief lunch before setting off for the final 90-minute trek. Ollantaytambo, the final destination, features two large Inca ruins and centuries-old cobblestone streets. 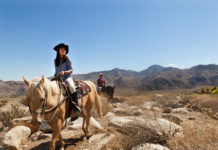 For more information and rates, call (877) 236-7199 or visit condortravel.com/en/enquiries/t7q28y. In other news, the Wyndham Hotel Group recently opened the Wyndham Costa del Sol Lima in Magdalena del Mar within walking distance of cafes, restaurants and shopping centers. The 144-guestroom hotel features upscale amenities and services such as an onsite casino, a spa, and a fitness center, as well as a pool and an onsite restaurant that serves classic Peruvian specialties as well as international dishes. For more information, visit wyndham.com/hotels/peru/lima/wyndham-costa-del-sol-lima-salaverry/hotel-overview.